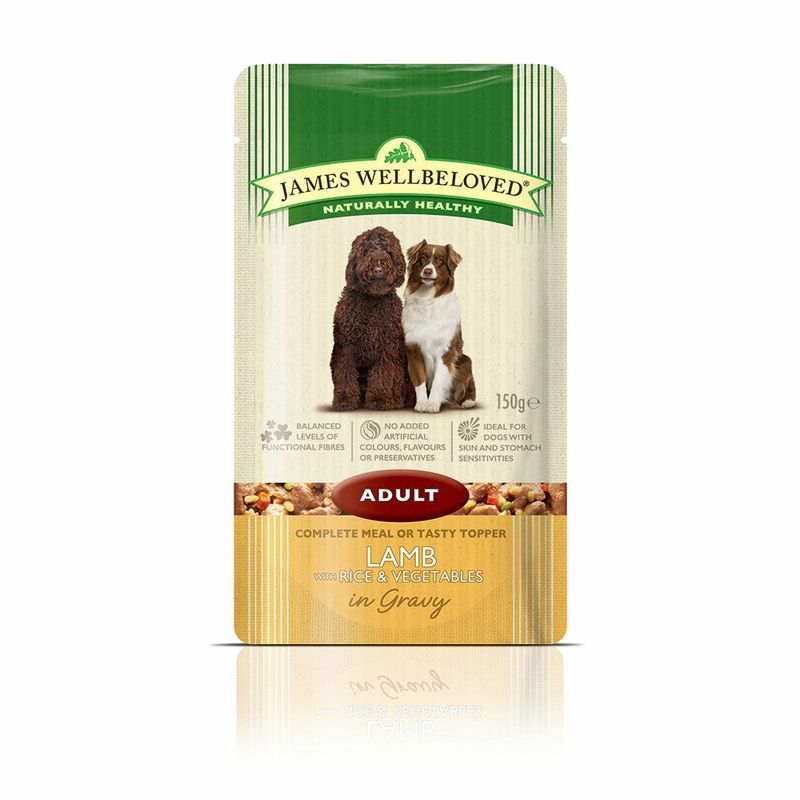 James Wellbeloved Adult Pouches - Lamb with Rice Vegetable for adult dogs is a tasty and healthy complete wet dog food. James Wellbeloved only use a single source of meat protein (Lamb) with easily digested rice and vegetables to reduce the risk of food intolerances. The food also contains extra ingredients such as alfalfa, seaweed, and linseed to aid digestion and soothe itchy coats. As you would expect from James Wellbeloved the pouch food contains no added artificial colours, flavours or preservatives, no beef, no pork, no wheat or wheat gluten, no dairy products, no egg and no soya. James Wellbeloved Adult Pouches - Lamb with Rice Vegetables at a glance: Single source of meat protein: Lamb Handy pouches ensuring a fresh meal every time Pouches can be fed on their own or as a tasty topper for dry food Hypo-allergenic wet dog food Contains no added flavours, colours or preservatives Contains no beef, pork, wheat or wheat gluten Contains no dairy products, egg or soya James Wellbeloved avoids using many of the ingredients renowned for causing food intolerances.